Milk traders at a business opportunity seminar in Morogoro (photo credit: ILRI/Mercy Becon). 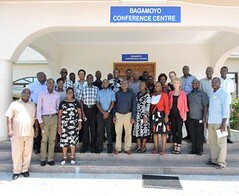 The More Milk in Tanzania project is working with milk traders in Morogoro and Tanga to set up dairy market hubs that will be used to pilot approaches to increase milk production and marketing. The initiative will increase the use of dairy inputs and services by smallholder dairy farmers and other actors in the dairy value chain through the use of market hubs that link milk traders and dairy farmers in selected project sites. These hubs are based around milk traders who are intimately connected to local and distant milk markets and whose role in milk marketing is critical for increasing the incomes of milk producing households. Most milk traders in Morogoro and Tanga handle between 40 and 240 litres of milk per day from a network of up to 100 producers in different villages. A five-day business opportunity seminar held in Morogoro trained 23 milk traders, including six women, from 22 project villages in Morogoro and Tanga on milk marketing and dairy business management practices to help them in identifying business opportunities for selling inputs and services and in adding value to milk products. Specifically, the seminar enabled the traders, who are also milk producers, to develop individual business plans including enterprise budgets that will be the basis for their subsequent mentoring and coaching. 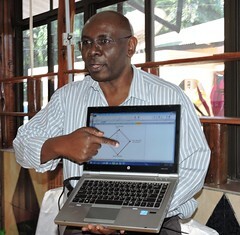 In the course of the training, a profile of each participant was obtained. 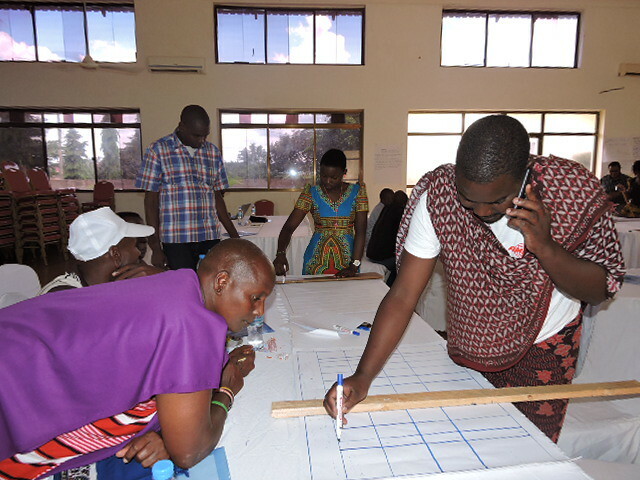 Information on the size of their businesses, number of producers (men and women) from whom milk is procured, milk prices, challenges and future plans for their businesses was collected. This information, in addition to the individual business plans, will guide mentoring activities for both the traders and selected milk producers that each trader deals with, and it will also be the basis for impact evaluation. At the end of the seminar, which was facilitated by experts from Faida MaLi, a partner in the MoreMilkiT project, each trader received a copy of their business plans for their records and for use in monitoring progress. According to the traders, the seminar was an opportunity to network with others players in the dairy value chain and the business plans would help them improve and expand their milk businesses. They are also expected to train others in their villages. ‘Selling milk has improved my life. I used to sell goats before but since I switched to milk, I have made enough money to buy a bicycle, two motorcycles and now I have a pick-up truck to collect and deliver milk. This seminar has helped me realize that when I deliver milk in town, I can use my truck to buy animal drugs, mineral blocks and molasses to sell to milk produces in my village,’ said Saleh of Handeni, Tanga. A woman participant said selling milk provides money to buy maize bran and maintain improved breeds to ensure high milk yields in the dry season. The MoreMilkiT project is funded by IrishAid and is led by International Livestock Research Institute (ILRI) with Faida MaLi, Tanzania Dairy Board, Sokoine University of Agriculture and Heifer International as the implementing partners. Tags: CGIAR, Innovation platforms, Milk, MoreMilkiT, Value Chains. Bookmark the permalink.